To layer necklaces well you need to get the graduated effect. Start with delicate shorter pieces and end up with chunkier, longer necklaces. The large gold disc measures 3.5cm in length (including the jump ring) by 2.5cm wide. 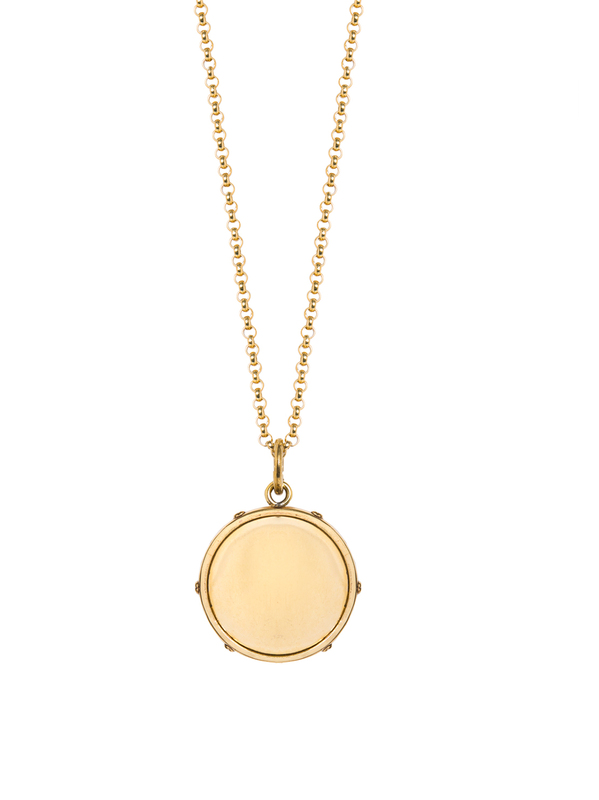 It hangs on an 80cm sterling silver belcher chain which has been plated in 23.5 karat gold. This would be the ideal heavier necklace in your layering sequence.